Yup, you guessed it, Bertha’s back. After seven years, Callaway have brought the model back to life for the 2014 season. Big Bertha’ originally referred only to a weapon used by Germany in World War I until 1991 when Callaway launched the original Big Bertha driver made entirely of stainless steel and measuring a “massive” 190cc. The original Big Bertha changed driver design for years to come and since that first model many variations were crafted on the basis of producing more distance. We’ve seen Great Big Berthas and even the Biggest Big Bertha, but for the last few years Callaway had retired the model to the R&D archives. Now, for the 2014 season, Bertha’s back and more technologically advanced than ever before. "We didn't bring the name back out of some misguided sense of nostalgia. We brought it back to advance the science of hitting the ball far.” said Callaway’s Dr. Alan Hocknell, SVP of Research & Development. Callaway are describing the new design as their “Total Performance Driver”. Along with the Big Bertha name, the driver is fitted with Callaway's latest face and crown technology, advanced adjustability and a new Adjustable Perimeter Weighting system . 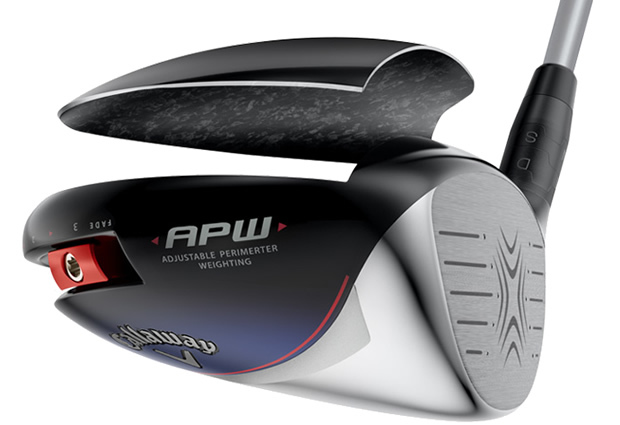 The Adjustable Perimeter Weighting technology is a first for Callaway. In basic terms, it allows golfers to move a sliding 8 gram weight to any location along a 5 inch track. Moving the weight alters the Big Bertha’s centre of gravity bias and influences the natural shot shape the driver will produce. By positioning the sliding weight along the perimeter of the clubhead, Callaway are able to keep the weight back and further from the face, increasing the club's MOI and performance on shots struck off-centre. And the adjustability doesn’t stop there. An Advanced Adjustable Hosel independently alters the loft and lie angle of the driver. Players can choose from four different lofts ranging from -1 degree to +2 degrees and also a neutral or draw lie setting. Additionally, Callaway say theirs is the only adjustable hosel that allows players to alter loft and lie without rotating the shaft/grip. But as equipment aficionados know, adjustability is only as good as the clubhead it adjusts. The key to the Big Bertha clubhead is the composite construction. Made up of a high strength, Forged Composite material, the "midnight-blue" crown is also very lightweight. This strong, yet light, construction is 8 grams lighter than a titanium crown would be and that allows Callaway to keep the entire head weight under 200 grams and a swing weight of D2. 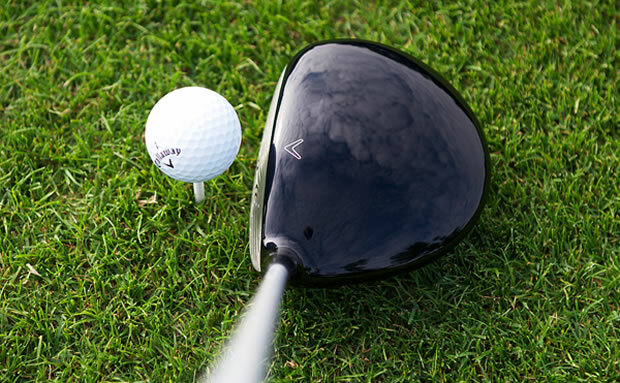 Forged to that clubhead design is the company’s Hyper Speed Face. Anyone familiar with Callaway’s recent metal woods will be familiar with their Hyper Speed Face. 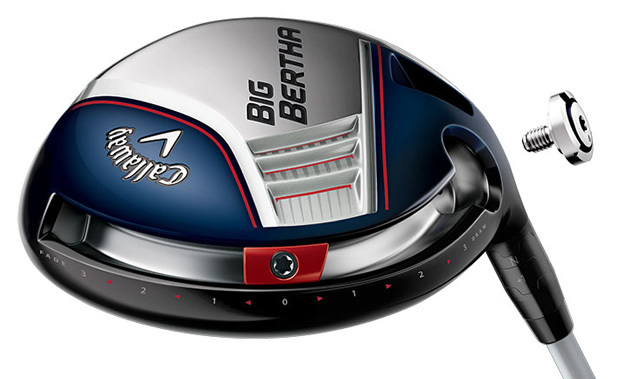 The 2014 Big Bertha driver features a new, larger version of the titanium face. It is 8% larger than before, but importantly 0.032 inches thinner. Callaway carefully vary the thickness of the face based on where they have discovered players most commonly strike the face, which they say increases ball speed where players need it most. 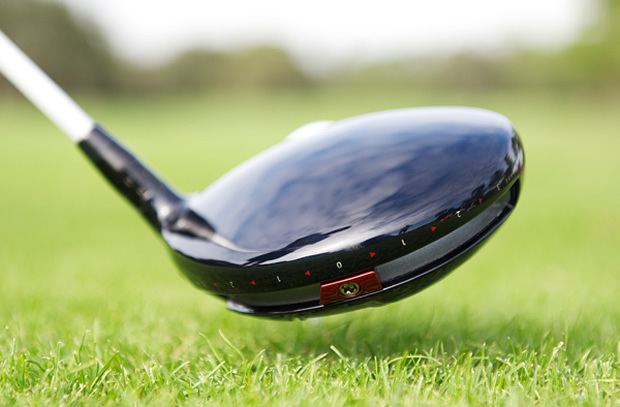 Available from Valentine’s Day 2014, the Big Bertha is also available through Callaway’s Udesign service, that allows players to choose from various body and detail colors as well as custom laser engravings. What could be more romantic than a custom-coloured, engraved Big Bertha driver for your partner on Valentine’s Day? 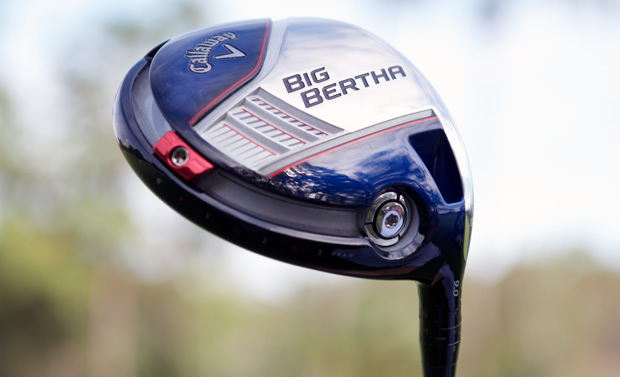 Which Big Bertha Driver Is For You? Follow my fitting as I was chosen by the Big Bertha.